India Kawasaki has announced the launch of the 2019 Versys 650 with a new colour scheme for a price of INR 6,69,000 (ex-showroom Delhi). The two-wheeler brand has worked to deliver the multi-purpose motorcycle to their respective buyers on the auspicious days during the season. 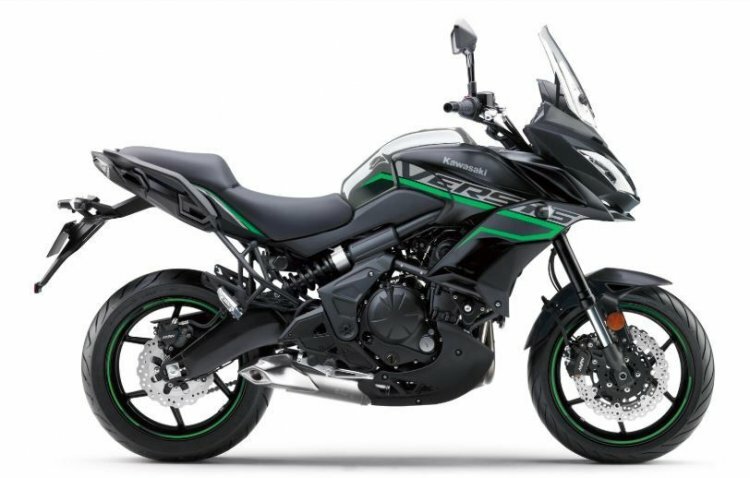 The only change the Kawasaki Versys 650 has received for MY2019 is the availability of Metallic moondust grey/metallic flat Spark Black colour. Keeping festive season in mind, we have worked rigorously to ensure that customers get the delivery of their brand new Versys 650 on their preferred auspicious day. The Kawasaki Versys 650 now is available in Metallic moondust grey / metallic flat Spark Black colour. The MY2019 update brings no mechanical changes. The motorcycle retains its sharp styling accompanied by touring friendly ergonomics. It uses the 649 cc liquid-cooled, parallel-twin, DOHC, 8-valve engine that is tuned to churn out 69 PS of maximum power at 8,500 rpm and 64 Nm of peak torque at 7,000 rpm. The engine is paired to a six-speed gearbox. A 41 mm inverted telescopic fork with adjustable rebound damping and preload at the front and an offset laydown single-shock with remote spring preload adjustability at the rear perform the suspension tasks. Twin semi-floating 300 mm petal discs at the front with dual 2-piston callipers at the front and single 250 mm petal disc with a single-piston calliper at the rear perform the anchoring tasks. India Kawasaki has worked rigorously to ensure that customers get the delivery on their preferred auspicious day. 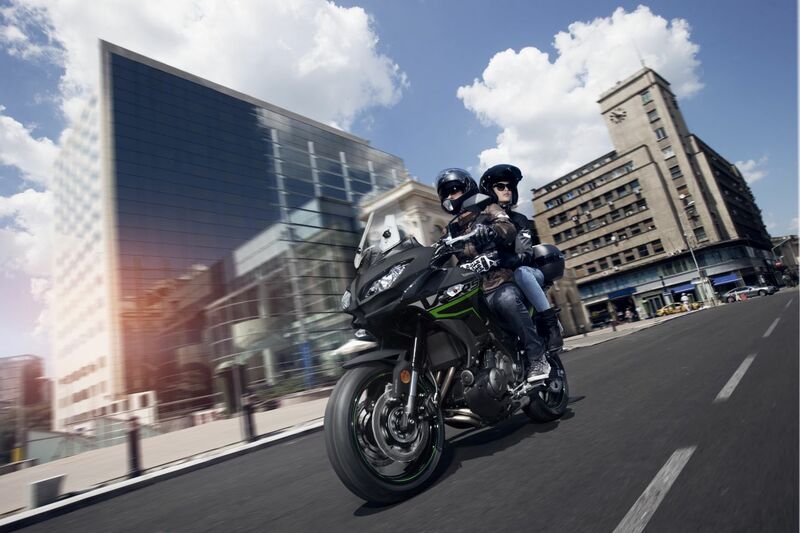 Bookings for the new Kawasaki Versys 650 are now open. The motorcycle will compete against its new rival in the Indian market, the Suzuki V-Strom 650XT, which comes equipped with more off-road ready hardware like wire-spoke wheels with tubeless tyres, a 19-inch front and 17-inch rear wheel combination, an engine belly guard and knuckle guards. The Suzuki offering features a 12V DC power socket that can be used to charge a smartphone, navigation systems and similar devices as well. Mechanical specifications of the Suzuki V-Strom 650 XT include a 645 cc 90-degree V-twin, liquid-cooled engine that delivers a maximum power of 70 bhp at 8,800 rpm and peak torque of 62 Nm at 6,500 rpm. The engine is mated to a 6-speed transmission. The direct rival costs INR 7.46 lakh (ex-showroom Delhi).